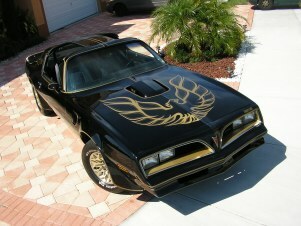 1977 Y82 Special Edition Trans Am made iconic by the release of Smokey and the Bandit. 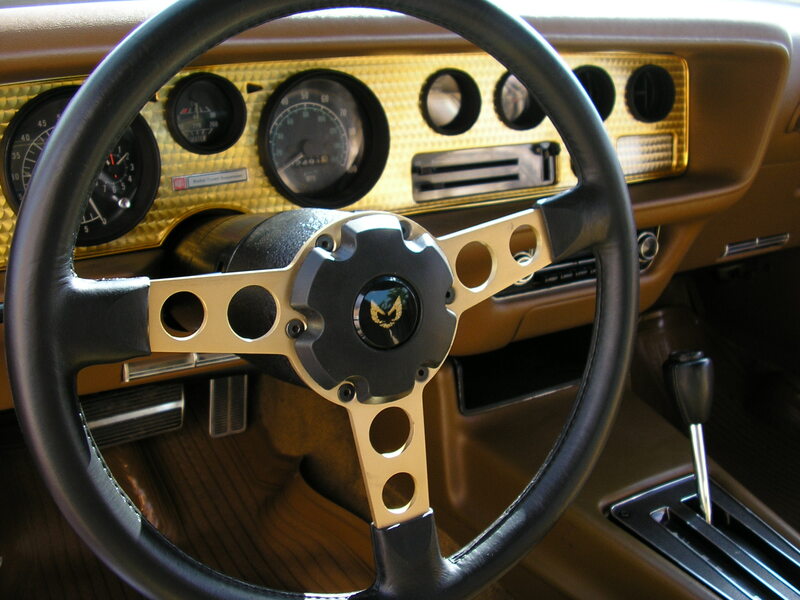 The interior was decked out with gold appointments including gold steering wheel and dash bezel. 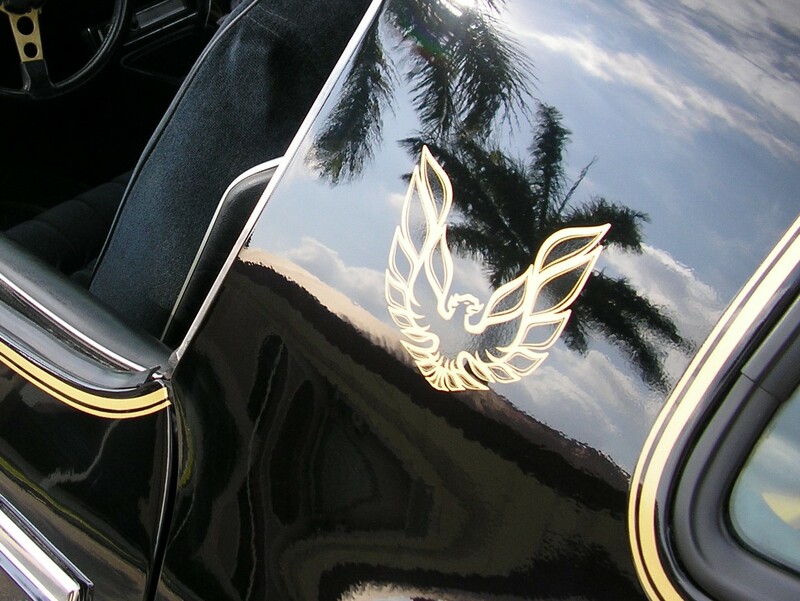 The outside sported the iconic gold hood bird and all gold body stripes with gold grilles and snowflake rims. 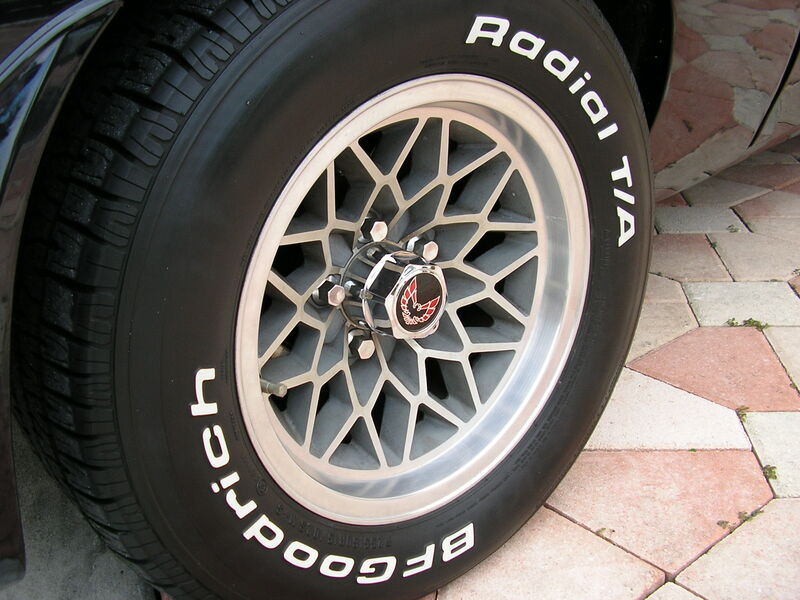 The Trans Am names were also a special "German" font that was different from any other Trans Am. 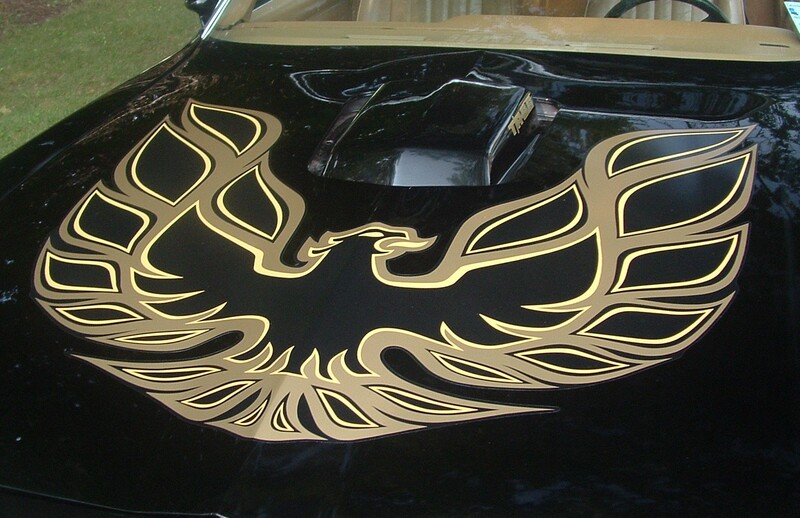 Special Edition Trans Am made iconic with the 1977 release of "Smokey and the Bandit"
I always have quite a few people ask me if their car is a Special Edition or not. So, I figured I would devote a page to help you find out if your car is a "Special Edition" or just looks like one. 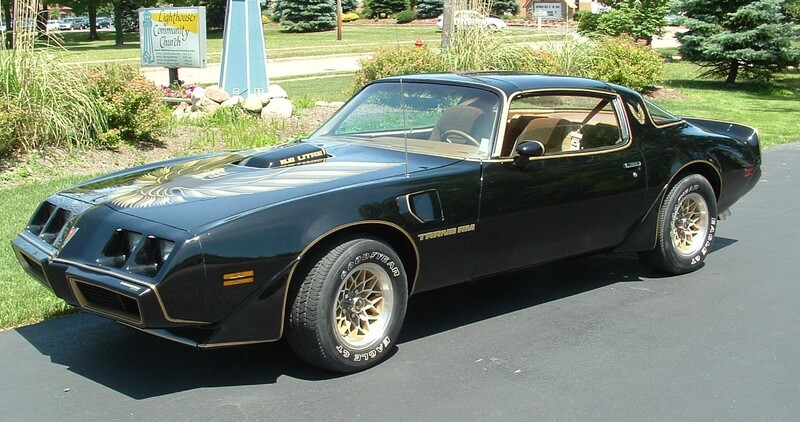 First thing I want to say is that there is no such thing as a "Bandit Edition" Trans Am from Pontiac. 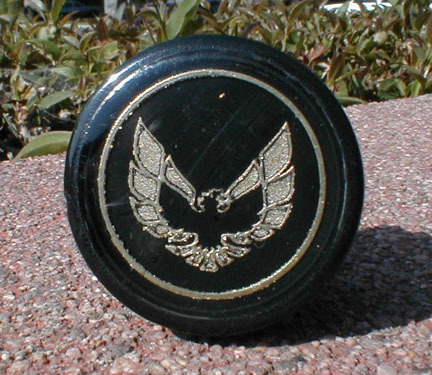 They were Special Edition Trans Ams. 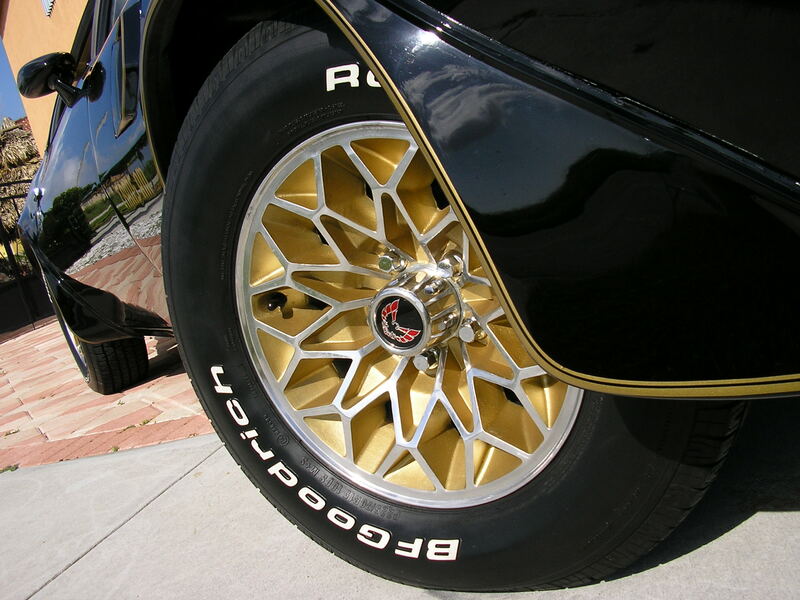 People usually see a black and gold Trans Am and automatically call it a "Bandit Edition". There is no such thing as a "Bandit Edition" from GM and Pontiac. 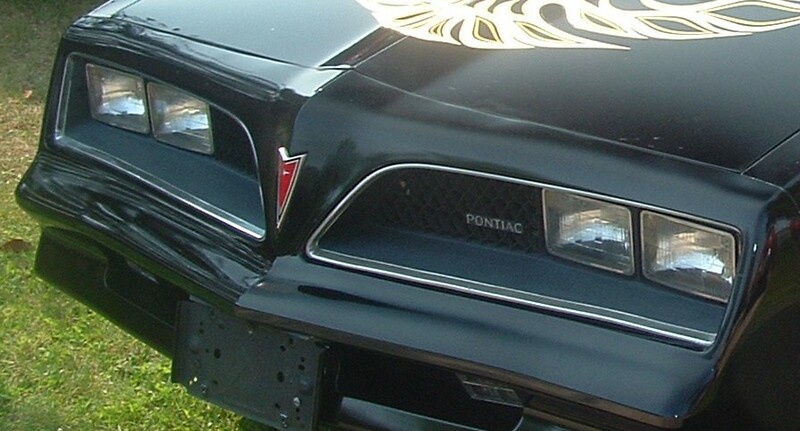 With that out of the way, the first thing to look at is the Cowl Data on your Trans Am to see if it is stamped with a Special Edition code or not. This is the first place to look. 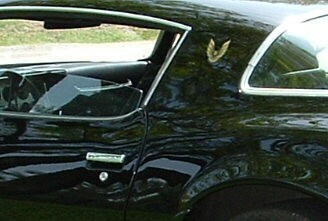 Now, not all Special Editions had this code marked on it, but if it does, then you can stop right here because you already know that you have a Special Edition Trans Am. If there isn't a code marked, then continue on to see the other signs of having a Special Edition car. 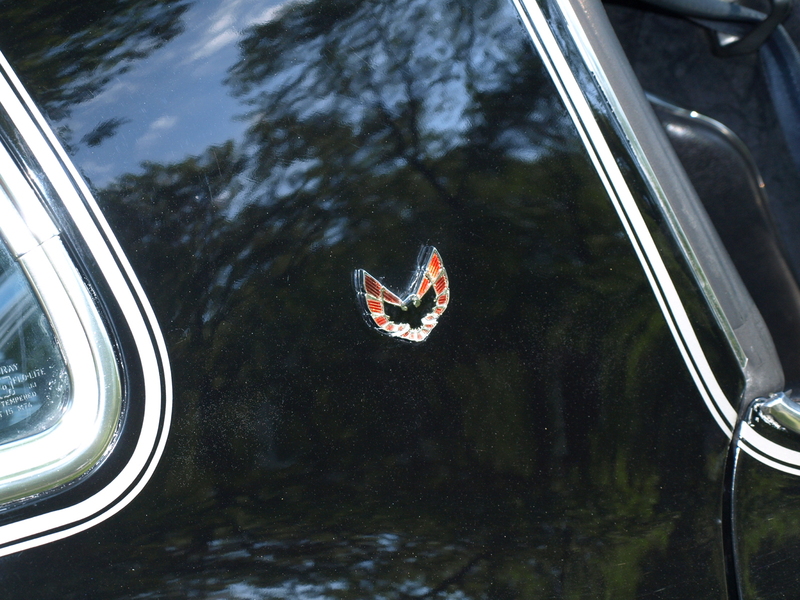 Really, there are only three ways you can determine if a Trans Am is a "True" Special Edition car. Most people can buy all of the gold appointments to make a car "Look" like a Special Edition when it isn't. So, here are the three ways you can help determine if your car is a Special Edition or not. 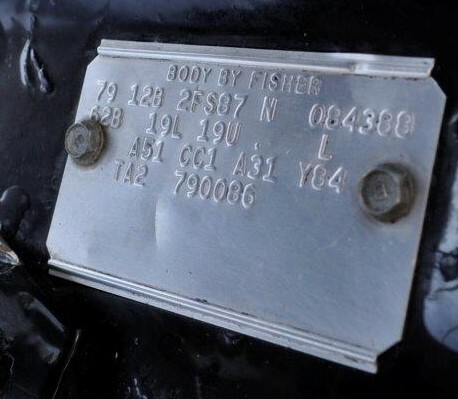 First is to take a look at the Cowl Tag located under the hood up by the VIN Number. On that cowl tag could be stamped a Y82 or Y84 (or Y88, Y89, Y81 and so on). Now, not all plants did this on a regular basis so if a code is not stamped there don't worry, there are still two other ways to check. If you car has that stamped there then you know your car is a Special Edition. If that is not stamped there, then the next step would be to find the original build sheet for the car. 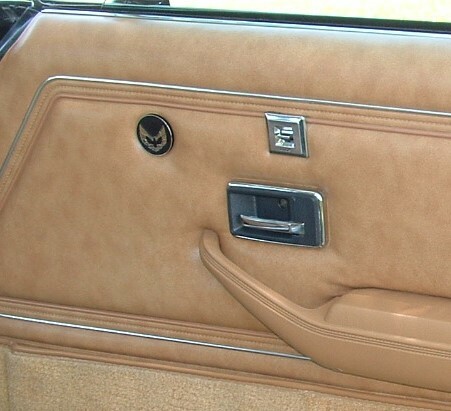 Most of the time they are located behind the back seat or behind the back seat and behind the cardboard that separates the trunk form the interior or even underneath the rear or front seats. There is sometimes also a second build sheet on top of the gas tank of the car, but since it is exposed to the elemnts, that one is usually gone. On that build sheet would tell you if the car is a Special Edition car or not. In fact, that build sheet will tell you everything about your car in specific. You can see more about the build sheet and how to find it at Build Sheet. Now sometimes the build sheet is gone from the previous owner, or it has deteriorated beyond legibility due to age or a mouse or something. So, if you build sheet is gone, then your last resort is to contact PHS Automotive Services and order one of their packets about your car. It cost $65.00, but I think it is well worth it. You can contact them at http://www.phs-online.com to order a packet. One of the items that comes along with that information is a copy of the original Dealer invoice for your car. On that invoice it would tell you if you car was ordered with the Special Edition Package . Unfortunately, your VIN Number or Cowl Tag information itself doesn't tell you if your car is a Special Edition or not. But one of the three ways listed above will let you know for sure what your car is and what it isn't. The most prominent things that distinguish a Special Edition car from a Non-Special Edition car are all of the gold appointments on the car. 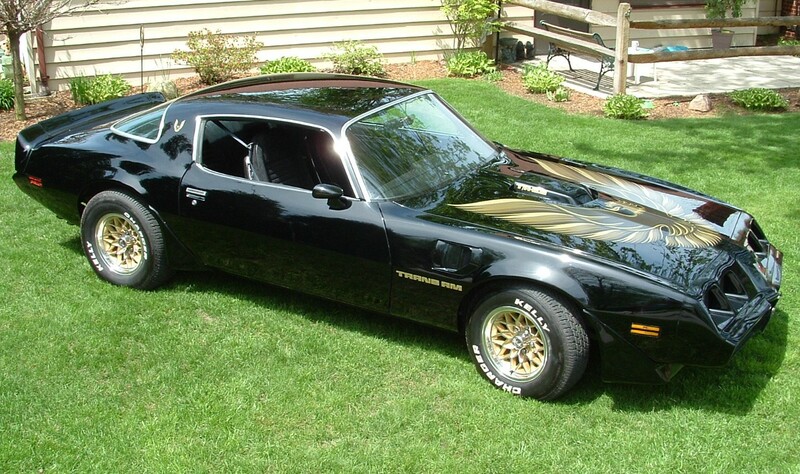 Y82 - 1976, they came out with the first Special Edtion Trans Am. It was labeled with the Y82 code to signify that it was a Special Edition (Sometimes called Limited Edition). It did not matter if it had t-tops or not, they were all Y82. Y82 - 1977, Special Edition with the Hurst t-top roof. Y81 - 1977, Special Edition with the hard top roof. Y82 - early 1978 the Y82 was the Special Edition with the Hurst t-top roof. 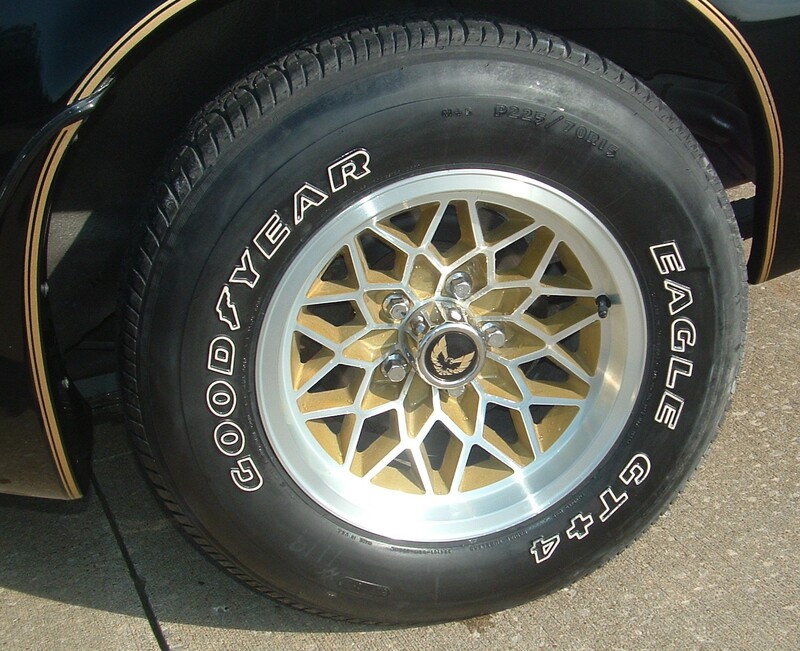 Y88 - 1978 they came out with the Gold Special Edition Trans Am which had the Y88 designation, but just like in 1976, it did not matter if the car had t-tops or not, they were all the same Y88 code. Y84 - After the Y88 was canceled, they came back out with the black and gold Special Edition, but this time it had the Fisher t-top roof and was labeled Y84. 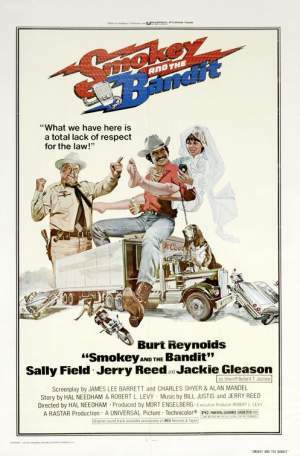 In 1977, Smokey and the Bandit was the third highest grossing movie ($126M) just under Close Encounters of the Third Kind ($128M) and well behind the top movie... Star Wars ($460M). 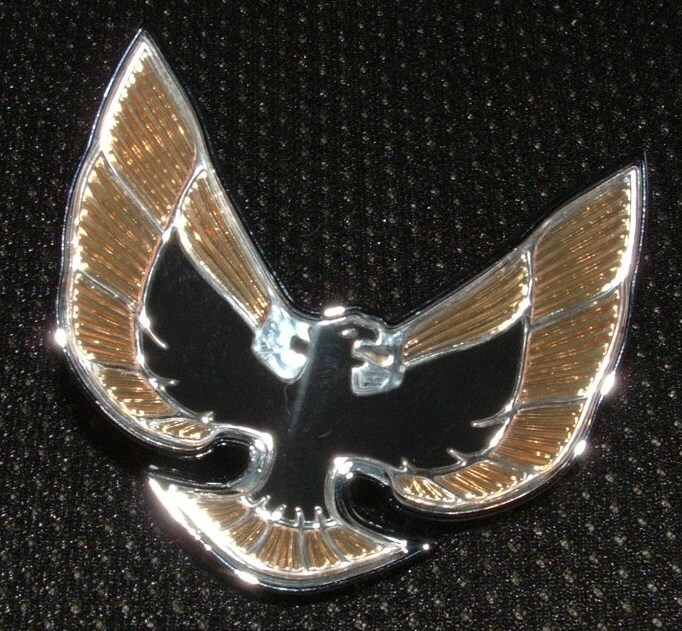 That movie put the Pontiac Trans Am on the map and did more to promote the car than anything Potiac could put together in their advertising campaign. 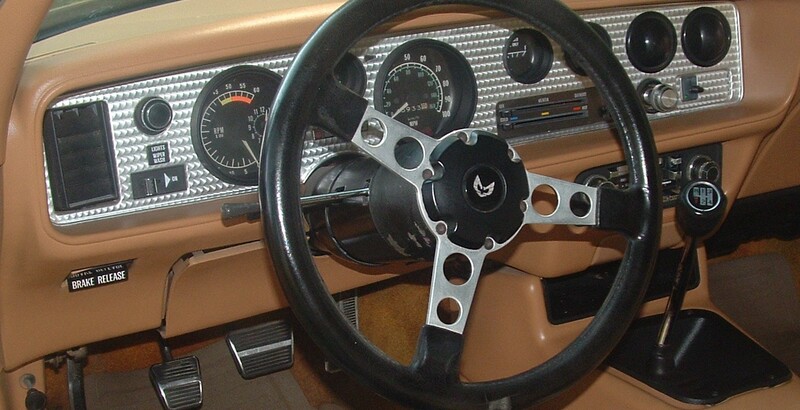 The production numbers of the Firebird jumped from 110,000 in 1976 to 187,000 in 1978 which was a 70% increase in sales ! Starting with the 1976 Special (Limited) Eiditon in 1976, it was all about the gold highlights. The Special Edition cars were all Starlight Black body paint marked with gold highlights inside and out. 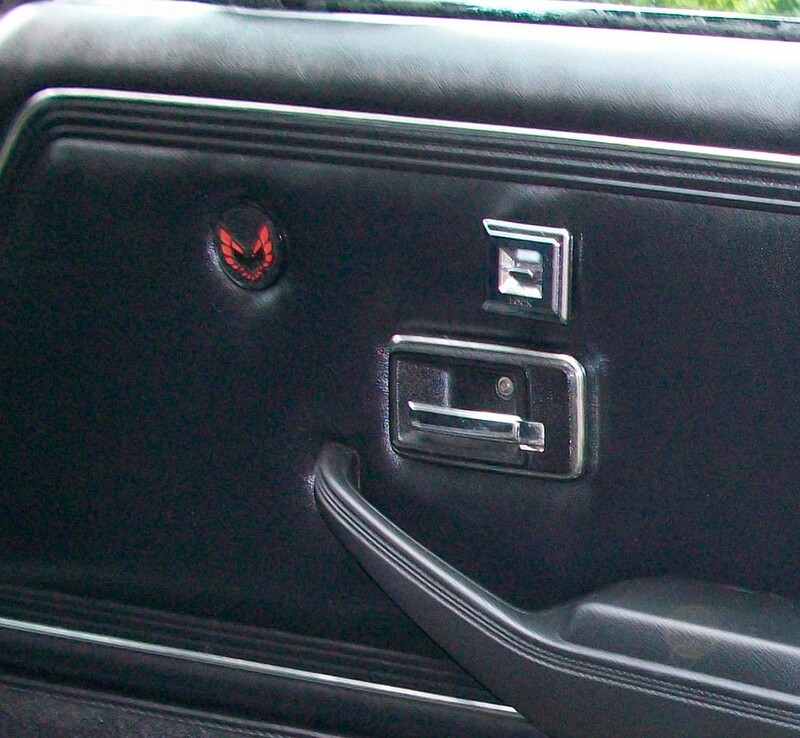 The interiors of the cars could be Black, Tan, Red and even White, but still had all of the same gold highlights. 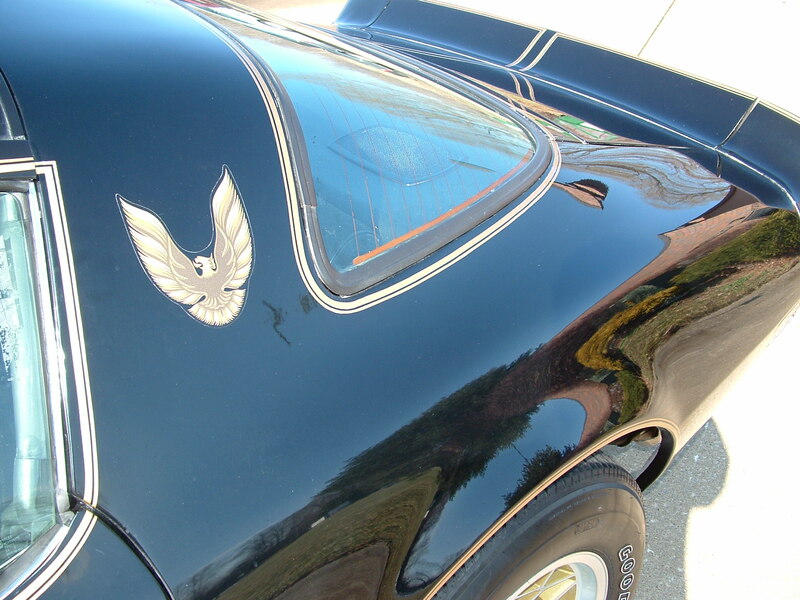 See below for comparissons on the difference between a regular Trans Am and a Special Edition Trans Am. It included (but not limited to) gold headlight drilles, gold wheels, gold bird emblems, gold dash, gold spoked steering wheel and more. Here are soem links with more information regard the Special Edition cars from 1976 to 1981. Down the left side of this page I will have the appointments that are normal for a regular Trans Am. 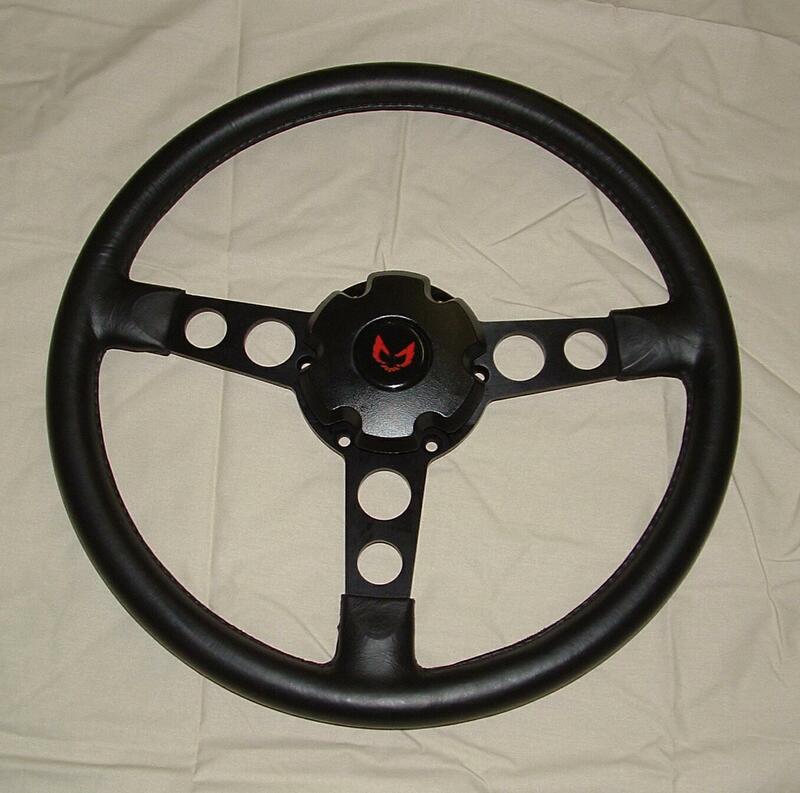 In the left hand columns below are most of the items that are common and standard when you ordered a every day Trans Am. These items are what would be standard for that model. 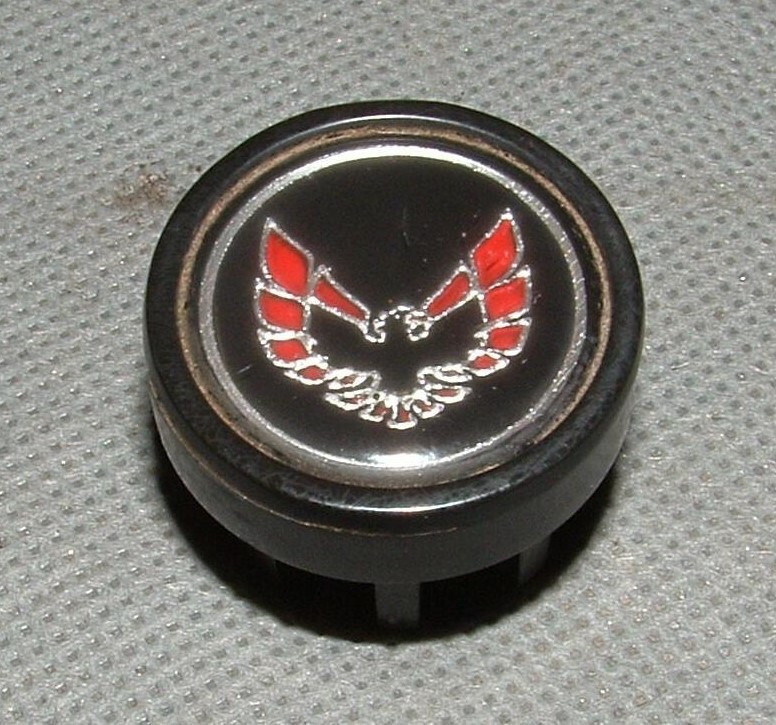 Down the right side of this page I will have the appointments that are normal for a Special Edition Trans Am. In the right hand columns below are most of the items that are common and standard when you ordered a Special Edition Trans Am. These items are what would be standard for Special Editions. Now some things changed from year to year but I have those noted below. 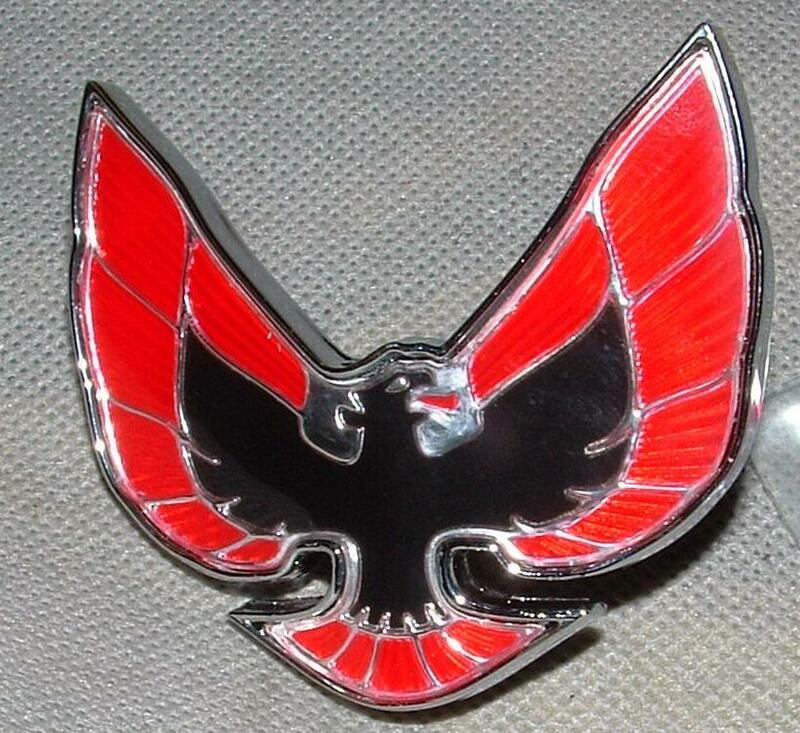 Note: In 1977 they still had red bird emblems on the wheel center caps. 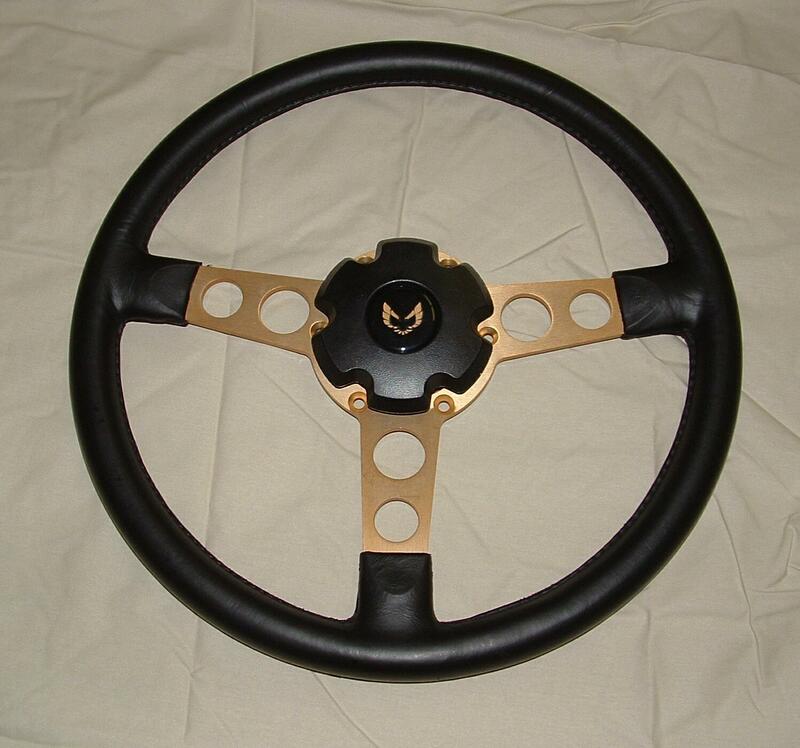 Also, you could order gold rims on a non-Special Edition car as well. Hopefully this will answer some questions on whether or not your car is a "Special Edition" Trans Am or just a look alike (Clone/Tribute)). 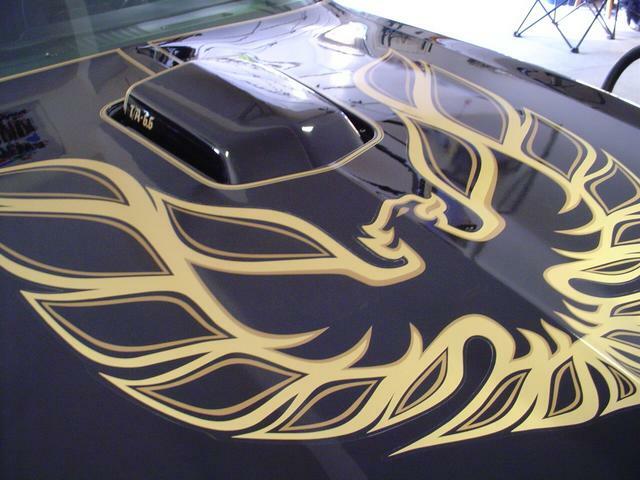 Most things are easy to buy and convert your Trans Am into a Special Edition, but you will only be fooling yourself.